Cupcakes 'n Daisies: Playground and More . . . I've pieced all my Playground blocks. I like all the Denyse Schmidt fabric that I'm using and I like this block so I should like this quilt, but right now it's still a little on the wild side for me. The next step, adding the border, should change the look a lot I think. Still, working with this fabric continues to be a very good exercise for me . I bought a new quilt book, something I rarely do. This book was released the end of last year, so not only is it unusual for me to purchase a book, it's rarer still that I purchase a book that's a new release. 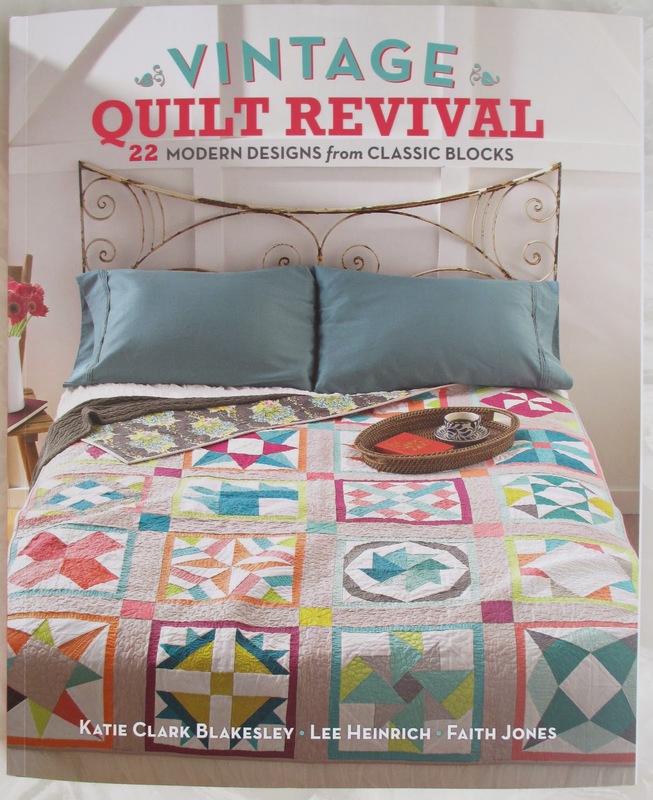 It's billed as a modern quilt book, and I think it has a great fresh feel, but I wouldn't consider it overly modern, I think any style of quilter would enjoy the projects in this book. There are several patterns in this book that I like, but what I like most is the "Designer Note" section included with each pattern, with helpful information about something specific for the project or how to make the project a little different. A review left on Amazon for this book mentioned some of the block sizes being incorrect, so far I have not found any errors, if I do I'll pass them along. This pattern is my favorite, it's called Spiced Chai Quilt. It finishes at 60" x 60". It's a simple pattern but the positioning of the blocks along with their color placement really appeals to me. I think this quilt tells a story, it reminds me of winter, with all those dark blocks, and the reminder that spring always comes, that would be the bright blocks. Or maybe how a down gray day always has a few bright spots too. This block is the same block I just pieced for Jersey Girl! How different these two projects look, but I love them both. I think that's all I have to report for today, but that's probably plenty! I received that book from one of my girls this Christmas and I love love love it. The quilt you showed was the reason why it was on my wish list but the other pieces in the book are a real treat as well. I had not seen the Weave fabric until last month when on retreat. We went to a local quilt shop to find some background fabric and ran into that line of solids. I was fairly hooked. Loved it and my daughter was equally excited. She picked it up in beige/tan. Really works well when you are looking for that little extra texture. I love your Playground blocks. Those fabrics are great - I love how you are using so many bright colors these days! I like your Playground blocks and I think you are right, a border will tone down some of the wildness. You have made good progress and I am amazed with your projects....always great and so enjoyable to see. Book looks to be interesting and have to say I don't buy many book unless I see something and look for them. I love that Spiced Chai quilt. It really does tell a story, simple as the blocks are. I am enjoying your Playground progress too. Remember the fabric you used to make Bounce? I have a bundle of that and bet it would be great for Playground. I do like that book! I flipped through it recently. I like the look of your playground... it looks fun. Hence the name right? I wonder if you would like the playground blocks better with some light sashing between to break up all the color. Can't wait to see it with the borders. Maybe that will be the difference you need. I'm so glad you like the book, and it's so great to see the Jersey Girl quilt--totally different look! The errata for the book are all noted at www.vintagequiltrevival.com. Thanks!